We end up with so much stuff, don't we, in this complex 21st century life of ours. Most of us have workplaces, cars and houses that become ever more full of things. There are so many things that we need to take with us, all the time. However, at last, I am managing to get rid of some of the physical things, replacing them with digital versions. Thus far mainly diary notes, files, invoices, receipts, online transactions, bank statements, magazines, books, recipes, photos, greeting cards, music and films. I use memory sticks rather than CDs or DVDs. I now only have some financial records in hard copy. When I see clients, and I write notes, I take a photo of the notes which I then save as a pdf. I give the hardcopy to the client if they want them, or if not, they are converted to heat for the house & office. The process of digitising has really made me think about the importance and unimportance of stuff. I used to keep birthday cards when I liked the pictures. 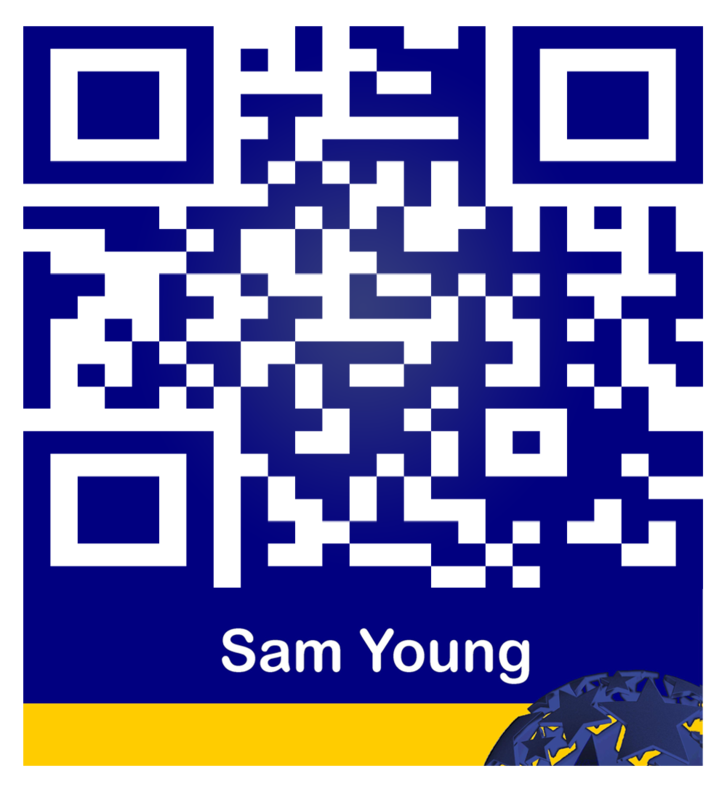 I do now too; but I scan any hardcopies I like and recycle the card. I myself only send eCards, try to order only eZines, and get all invoices emailed to me (also only sending eInvoices), pay online, get online statements, file and pay my taxes online. My students submit their work online and I mark it online, providing online feedback. I use email and cloud storage for group projects. I download books to my Kindle, music to my iPod. Where I can, I download film to an external harddrive — our internet is too slow for streaming, unfortunately — and watch it on the big projector screen. I don't collect tat — ornaments — as I hate dusting, so am definitely not going to make more work for myself! I try, when I buy a new version of something, to sell the old. I re-gift, up-cycle, recycle, give away, sell on TradeMe or return things when they aren't needed. Taking a conservation approach, I do try to keep good equipment going rather than just buy new and dump the old. I am currently having a new mechanism put in my digital watch because the old one has died after 20 years (no staying power — honestly!). But you can't really do that with tech. While I try not to be too sentimental about things, I still end up with more stuff, nonetheless. 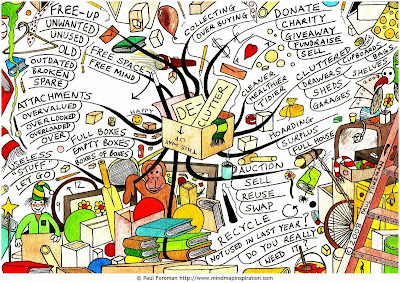 So it was with great interest that I read an article by Alison Hodgson (February 2013) on some things to consider when getting rid of 'stuff'. Her lead-in was a story of finding a box of letters and cards to and from her husband over twenty years. She was in a quandry about whether to dump it or not. Her sister said no (old and shaming), her brothers said keep them (history). Then she had a house fire and the problem was solved for her. They burned. Alison said "Looking back I can see I really wanted to get rid of them but didn’t think I ought to — that was the tension. It wasn’t that I didn’t know what I wanted to do, it was that what I wished to do conflicted with what I thought I should. 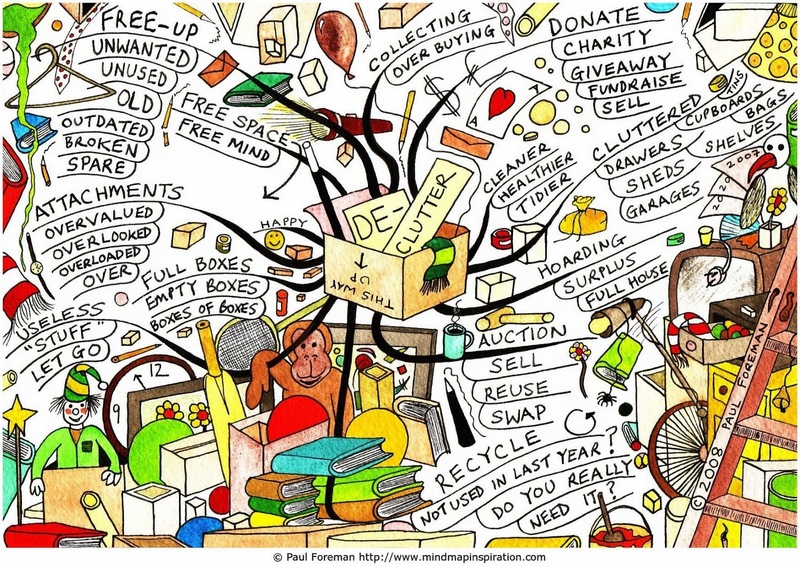 This is why decluttering [...] can be so painful; it’s the tension from the many feelings, often in conflict" (Hodgson, February 2013). Heirlooms: things of often only sentimental value held onto because they were your [enter relative name here]. These are things that are often not our style, or are so rarely used that they don't warrant the space. There were better ways for us to remember our pasts — like diarising some time to tell stories about that person, event or have a get together with others who shared that time. We don't need to drown in things in order to remember. Gifts: Alison tells that after her housefire they were given many things. While she was thankful for people's generosity, there were so many things that she didn’t need. She had a change of view; "Now I assume a gift is truly mine to do with as I please". Wow: that's powerful. Most of us don't think of something as ours. We see it as an extension of the giver. This enabled her re-gifting, recycling, donating and selling muscles. Come in useful one day: Alison felt that this was "the biggest one [category] of all, and at the bottom of it is fear". It is often cheaper to get rid of the old and not have the storage, carrying cost and maintenance of something, then buy a purpose-built replacement later on (remember Moore's law? Capacity doubles, cost halves). Don't hang onto the old fax machine because you might need it one day: you more than likely no longer have a fax line, so when are you ever going to use it? And why would you use it? Take it to the tip. Same goes for those odd-sized staples that go with the stapler that burst its springs last year. Perceived value. If you paid lots for something — like that early electronic till — you often don't want to get rid of it. However, that value now exists only in your mind. No one is going to give you tuppence for that anymore. You probably won't be able to give it away; in fact, probably have to pay to dump it. Additionally, if you have just bought a 'great mistake', TradeMe it. But be realistic on the price. You will only make a quarter to a half of the original value. So take the plunge and purge. Your office will be so much better for it.